Hey guys, we're happy to announce that we are now part of the Batman Podcast Network, through Batman-On-Film. Check out some of the other great podcasts available at batmanpodcastnetwork.com. If you like our little 'cast, there are certainly things there that will pique your interest. We'll continue to deliver the same great(?) content on a weekly basis, just with some bumpers hyping the network at the beginning. Thanks for your support. We've got a lot of good stuff coming up soon. This week, the boys are joined again by Lacey Day to tackle Brett Ratner's gut-punch to the X-franchise, X-Men: The Last Stand. Nobody really likes the movie, but nobody really hates it as bad as they remembered hating it. Everyone is dressed poorly and nobody bothers acting. A poor take on the Dark Phoenix Saga, poorly written and even worse directing, the film doesn't justify its own existence. Also in this episode, Allen tries to convince everyone to watch Samurai Gourmet, everyone wonders why they're even bothering to make this Mummy movie and why they think they have to have a shared Universal Monsters universe. Paul McCartney gets hate for being a pirate, and Allen Hates Aziz Ansari. Keep 'em comin', Stan. You were brilliant! Okay, guys. New bit. 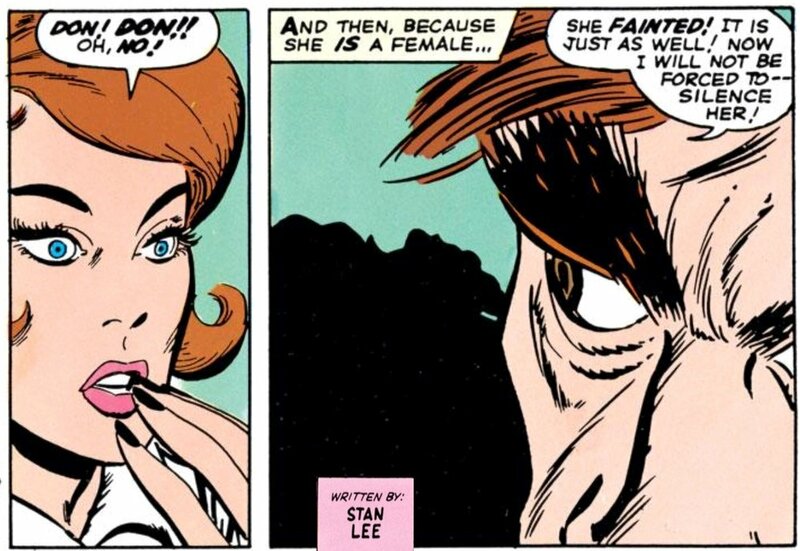 Gonna post some Stan Lee penned panels. The guys welcome back Lacey Day as they all fail to have the patience to watch the overlong, unasked for Zorro sequel. The boys are shocked to once again find a film that's not nearly as bad as its reputation. Not only do we not think 2005's Fantastic Four is an awful movie, we actually quite enjoyed it. Mostly well cast and fairly well written, the film very closely captures the spirit of the original Jack Kirby & Stan Lee comic book. Also in this episode, the guys discuss the new Star Wars trailer, Jeff Goldblum and the Jurassic World sequel, upcoming plans for the website and Gerald's oft discussed spin-off pod, the Pixelated Pictures Podcast, and the upcoming Unbreakable/Split sequel. In an attempt to legitimize the podcast, the boys pretend to be film critics and go back through all of the past films and put solid, agreed upon star ratings on each and every one. This week we take on the unreleased Fantastic Four, produced by Roger Corman. The story of this movie is strange and fascinating, far more so than the film itself. We dive into the movie and the recent documentary Doomed! The Untold Story of Roger Corman's Fantastic Four, where we determine everyone involved in making this picture was and remains completely delusional. Also in this episode, Allen reveals that Fantastic Four is his favorite comic book of all time, spends an uninterrupted ten minutes describing why he loves the book and why he loves Jack Kirby, as well as an explanation to his ongoing jabs at Stan Lee.